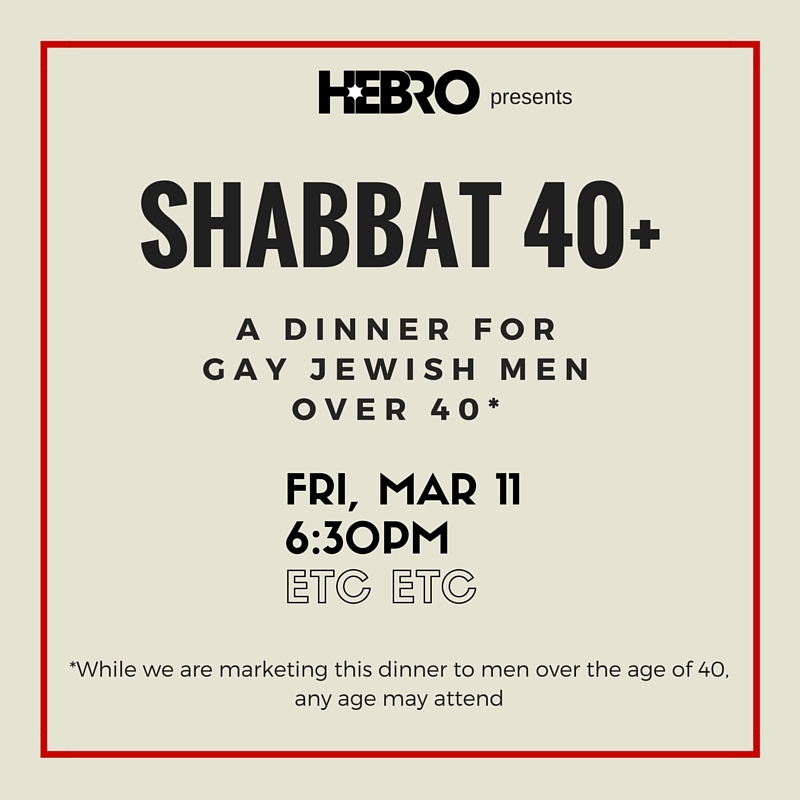 Join Hebro for our inaugural seated 3-course dinner targeting gay Jews who are over the age of 40*. This dinner will take place in the private dining room of Etcetra Etcetra in Hell’s Kitchen. *While we are marketing this dinner to gay Jewish men over the age of 40, any age may register. Note: Dinner is Kosher-style with a chicken, fish and vegetarian option with a cash bar available through the night.